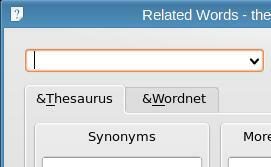 current 15:54, 21 December 2007 271 × 167 (8 KB) Finex (Talk | contribs) Kthesaurus, missing app icon. This page was last modified on 21 December 2007, at 15:54. Content is available under Creative Commons License SA 4.0 unless otherwise noted.